Larry Kilham is an entrepreneur, retired engineer, and author of four novels, two memoirs, and five other nonfiction books. 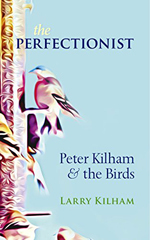 His most recent release, The Perfectionist: Peter Kilham and the Birds (2018), sheds light on designer, inventor, and visionary Peter Kilham (the author’s father). You’ll find Larry on LarryKilham.net, Facebook and Twitter, and his Amazon author page. For more about Larry’s work, read his 2017 SWW interview. At its core, what is The Perfectionist about? This book is about an artist and inventor who brought nature’s beauty and function to the public and did this with complete integrity. The story is told as my father and I growing up together. But the challenge was to convey his point of view rather than dwell on mine. When did you know you wanted to write your father’s memoir? 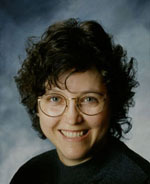 What prompted the push to begin the project? When I realized that my father’s life story was more important than the subjects of my many other books and only I could adequately address it. Also, due to my advanced age, if I didn’t do it now it might never be done. After I pulled together several boxes of files, I recycled through this content many times until I found an accurate and logical outline of the story. With this done, it only took four months to write the 121 pages and a month to edit. For the cover design, I engaged a very talented book designer who had just gone freelance after working for a university press. She grabbed my notes and photos and I went on vacation. Until I researched this story, I never realized how much his wife Dorothy understood him and his business and how much she helped him. My father never said much about her when we talked. That itself is another insight about him. What was your favorite part of putting The Perfectionist together? Looking at the old photos, newspaper clippings, and letters to bring back almost-lost memories and to see other people’s perceptions of Peter Kilham. Which do you prefer: the creating, editing, or researching aspect of a writing project? The creating and researching feed on each other and I enjoy both. I endure editing like, say, physical therapy. What does a typical writing session look like for you? Do you have any writing rituals or something you absolutely need in order to write? I write in the morning when my mind is fresh, and I read in the afternoon. I like long walks in the forest to recharge my mind. Who are some of your favorite authors, and what do you admire most about their writing? My list of favorite authors constantly changes. Right now it is Loren Eiseley, T.S. Eliot, and D.H. Lawrence. It’s kind of fun and educational to resurrect Alexander Pope. If you’re having trouble getting going, maybe you’re writing about the wrong thing. A story that you should write will make you blossom. I’m intrigued with Native American poetry, especially Pueblo, and I am experimenting with integrating its thought and style into my poetry.